Today I have the final parts for finishing this engine: a oil drain plug, an oil filter, and a new vacuum pump. I could not find a used pump that was not bow-tied. A new pump was $244 US. Import duty was $43 CDN. That’s a lot of money for a part that you really do not need. Vacuum pumps are used to run the brakes on VW cars. 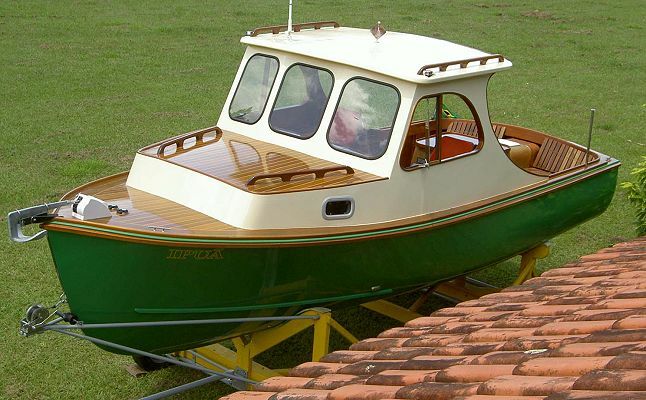 But with no need for brakes on a boat, the part serves to connect the drive shaft to the intermediate shaft, and runs the oil pump. I’m glad it’s here and a new part is actually best for a rebuilt engine. Why put a used part on a new engine? 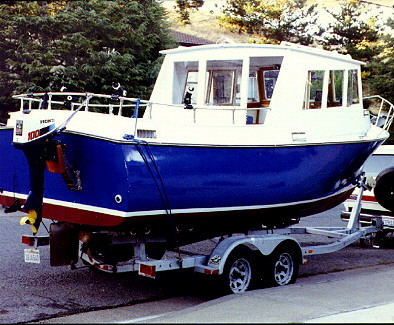 Some time in 2006 I was struck by the notion of building a boat…a boat that was capable of shipping some bigger water up here…a boat that was roomy enough to sleep several people…a boat that was truly sea worthy. 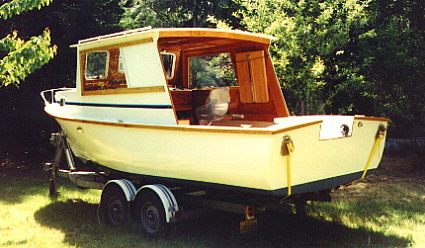 So following some research and later that year I bought the plans for a 22′ working lobster boat…a Down Easter…a Cape Islander. It can be extended to 24′. I brought the head in to an excellent machine shop in my area for evaluation. It was worn and needed replacing – $1K. In order to make the engine as reliable as possible I decided to replace the oil pump, have the fuel pump rebuilt – $800, install new glow plugs, wiring, and tubing. I paid as I went…scraping the money together a bit at a time. I cleaned the block, and repainted it with engine enamel and brought it and the parts into the shop for evaluation.